Antenna manufacturers address design, optimization, and implementation challenges with emerging technologies such as intelligent control mechanisms, planar concepts and flat antennas, metamaterial and electronically steerable antennas, and solutions for satellite antenna deployment in hazard environment. With the launch of High-Throughput Satellites (HTS) such as the Astra 2E, O3b Networks’ constellation, Inmarsat Global Xpress, and the forthcoming launch of Intelsat’s EpicNG in early 2016, the expected increase in satellite data downlink capacity is driving accelerated innovation of antenna technologies. As satellite operators increase bandwidth, beam number, and throughput; develop beam-controlling technologies; and reduce Size, Weight, and Power (SWAP) restrictions, networks are expanding by incorporating technologies that enable faster, more reliable voice, video, and data traffic. In the last few years one of the big drivers for the whole industry has been the launch of the new-generation of [HTS] ... And that’s of course driving the antenna manufacturers and the ground service providers and the rest of the ecosystem of the industry to up their game. What does this mean in terms of market opportunities? In March, O3b Networks selected AVL Technologies to develop and manufacture transportable antennas with reflector sizes of 0.85 m, 1.0 m, 1.2 m, 1.8 m, and 2.4 m for communicating with O3b’s Medium Earth Orbit (MEO) satellite constellation. These new transportable antennas operate in tandem pairs and have very advanced designs for tracking MEO and Low Earth Orbit (LEO) spacecraft. According to AVL Technologies, what makes these constellations more technologically advanced is that they are closer to Earth and move very quickly across the orbital arc. While such satellites tend to be much smaller, they are still very powerful, have very low latency, and can be launched three or four at a time. “We are always trying to push the envelope with smaller apertures,” says Jim Oliver, president and owner of AVL Technologies. “There’s a big push for lighter weight; there’s also a push for making the terminals more automatic so everyone can use them and not just experienced [users]. We have created an embedded antenna controller to accomplish that.” The embedded auto acquisition controller employs modular software architecture using a single kernel enabling integration with motors, encoders, sensors (digital and analog), and communication with Ethernet devices. 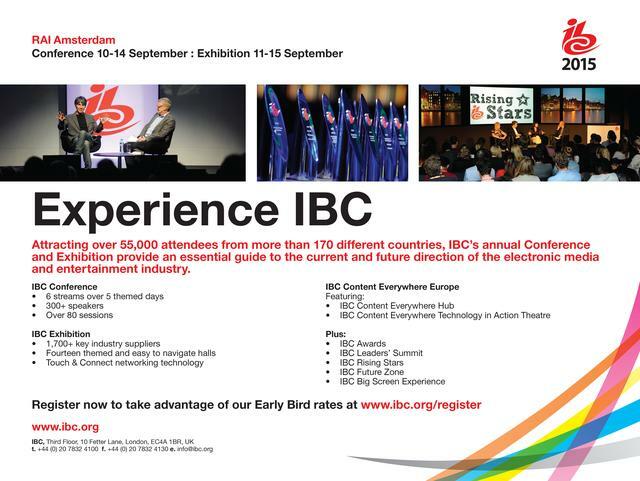 The intuitive Graphical User Interface (GUI) is implemented on a PC or handheld computing device. AVL Technologies’ embedded auto acquisition controller employs modular software architecture and an intuitive GUIAVL Technologies. “News crews also like the ability to ‘grab-and-go’ with a small antenna with events happening where they don’t have a lot of time to set up, or they may have to pack up and move in a hurry,” Wilkey adds. The standard transmitter/receiver feed of the 0614 is Ku band with optional commercial, military, or wideband Ka band and/or military X band. According to Myers, Datapath, a spin-off of Rockwell Collins, is also working on a program to make all of its terminals Inmarsat Global Xpress capable and is looking at other new HTS such as O3b and Iridium Next in hopes of developing original equipment manufacturer agreements. Communications equipment delivering connectivity in remote locations must withstand harsh weather conditions without sacrificing efficient, reliable, user-friendly and cost-effective solutions. “Because users seek to maximize bandwidth and also increase their transportability, they need a combination of larger aperture, more efficient, satellite terminals and transportable solutions that aren’t a logistics nightmare to get into the field,” says Roy Priest, vice president of sales and support at GATR Technologies. GATR manufactures inflatable satellite terminals used for first-in and/or back-up communications in disaster ravaged environments, such as the Alabama tornados in April 2011 and the 2010 earthquake in Haiti. “Our 1.2 m antenna packs into the same volume as a typical sub-1 m antenna; our 2.4 m antenna packages into the same volume as a typical 1.2 m antenna; and our new 4 m antenna fits into a smaller volume than a typical 2 m antenna — or even a 1.8,” says Priest. GATR looks to take advantage of new LEO satellites by adapting its 2.4 m antenna with a LEO tracker.GATR. 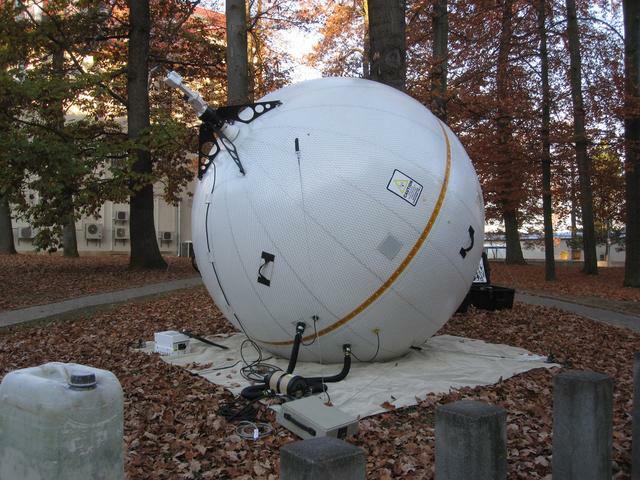 The GATR antenna inflates into a large sphere, much like an oversized beach ball. Its flexible, parabolic, satellite reflector dish is mounted inside the diameter of the spiracle radome and uses ground cables for stability and pulleys for pointing. “The larger the dish allows you to be more efficient in your utilization of the satellite resource,” says Priest. “So we are able to leverage global beams, and we are able to leverage satellite constellations that are optimized for larger dishes but still are able to transport those dishes with the form factors that you would have with a small team.” When deflated, GATR antennas roll up similar to an inflatable bed, while the electronics pack into rolling cases. GATR also looks to take advantage of new LEO satellites by adapting its 2.4 m antenna, originally designed and fielded as a Geosynchronous Earth Orbit (GEO) satellite solution, with a LEO tracker. GATR has delivered more than 500 terminals to the U.S. special operations community and U.S. Army global response units, as well as Wideband Global Satcom (WGS) constellation international partners. Iowa-based Winegard has modernized its technology for situational awareness and disaster relief efforts by partnering with the Information Technology Disaster Resource Center (ITDRC). Under this partnership, Winegard is outfitting its Pathway X automatic portable satellite antennas, designed to interact with DISH HD solo receiver technology, and Rayzar automatic antennas, designed to scan for HD local broadcast channels. It has also developed its model WV750A, a new 75 lb, 75 cm, auto-acquire VSAT, with an integrated GPS compass for use with ViaSat’s HTS Exede enterprise network. C-COM Satellite Systems has also targeted HTS connectivity for disaster-relief situations with its 98 cm auto-acquire VSAT iNetVu Ka-98V DriveAway antenna system, which operates on Eutelsat’s Ka–sat new-generation NewsSpotter service covering Europe, North Africa and parts of the Middle East, and designed to transmit HD or secure digital video at 20 Mbps. 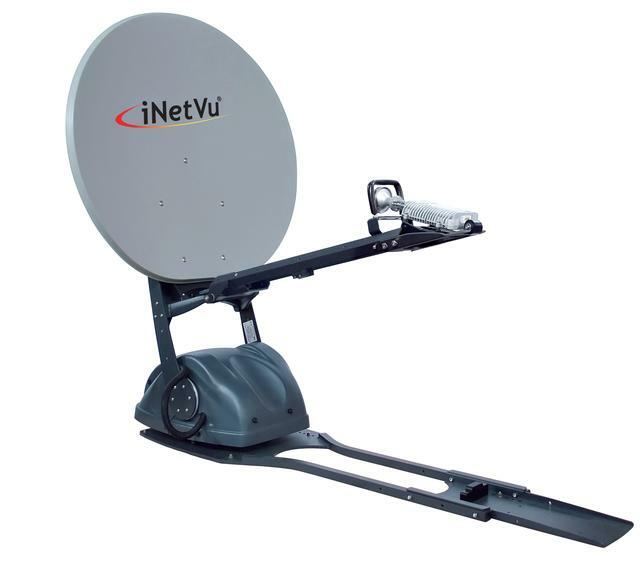 C-COM’s iNetVu Ka-98V, a fully automatic, motorized, 98cm Ka-band mobile antennaC-COM. The Kymeta prototype’s embedded software dynamically auto acquires, steers, and switches between satellites. The antenna is run by USB power under 2 W, has no moving parts, and is naturally space-hardened due to it containing no sensitive electronic components that would degrade in a radiation intensive environment. In addition, the antenna has gigabit links at 26.5GHz/60GHz, has no III-V materials or chemical vapor deposition based ferroelectrics. The antenna is conformal to the aircraft and has higher data rates than traditional gimbal antennas. Since they are not steered mechanically, they do not incur signal lost due to aircraft movement. 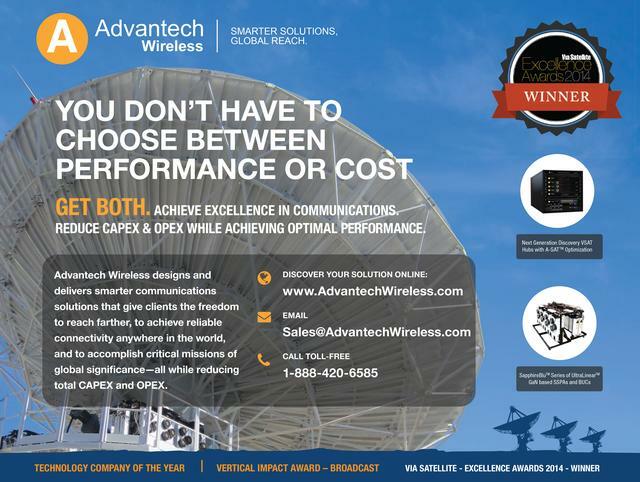 As satellite throughput increases, industry is responding to demand by collaborating in research and execution of new products to field reliable connectivity solutions for remote sites and mobile applications, and optimize the availability and portability of cost-efficient broadband services. 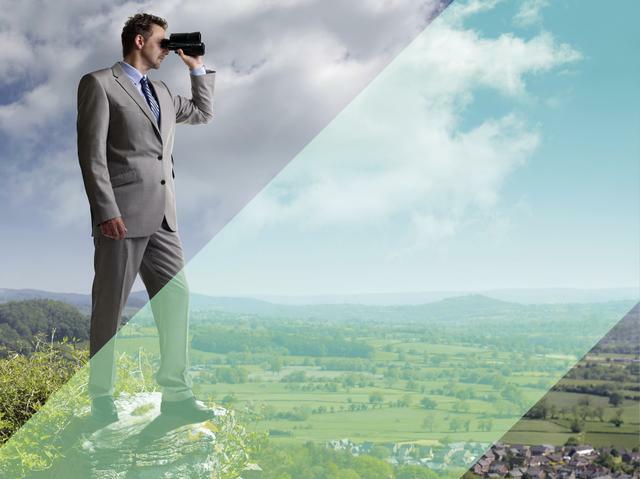 As demand for mobile broadband high-speed data and voice services increases, antenna manufacturers are pushing out smaller, more powerful systems designed to enhance spectrum efficiency, increase network capacity, and respond automatically or intelligently. Auto-deployable systems, such as AVL Technologies’ systems embedded with its acquisition antenna controller, automatically acquire satellite connectivity and are capable of “re-peaking” the signal to maximize performance when conditions such as high winds, shifting sand or thawing snows cause the antenna platform to shift. Mobile auto-acquire VSAT antenna systems are also easily transported to other sites as set-up time by inexperienced users is reduced. Phased array systems also employ electronic means rather than mechanical components to steer beams, and phased array antennas have form factors in common with metamaterials-based antennas. 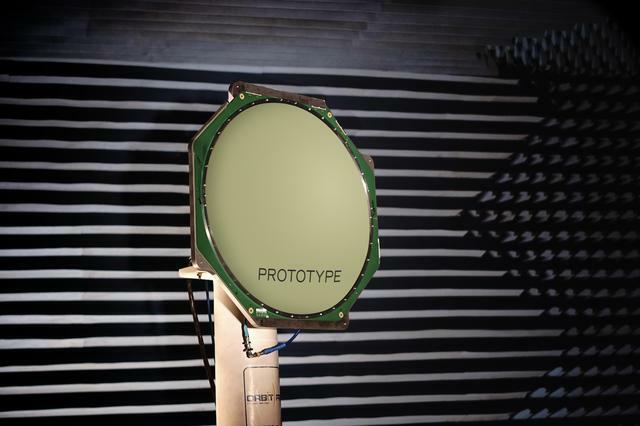 “The beauty of phased array is that you can literally create the shape of the antenna to fit around the fuselage of the aircraft, or fit on the roof of a train, or a tank or whatever the vehicle is. Instead of being a big dish or dome on the roof or something that would affect the performance of the aerodynamics of the vehicle, now it’s just something that would seamlessly fit into the shape of the vehicle,” says David Myers, president and CEO at DataPath.